boys around him. He was such a very prudent President that meant well for the country. Lt. Gen. Oladipupo Diya confirmed the prudence of his late boss when he said (not quoted) that Abacha would find it difficult to approve 1m at a stretch. Abacha was just a victim of office-influenza. May his soul continue to rest in peace. I wish to said a very big thank to those who have eminensly remember the grate hero ever live Abacha is a man of courage and determination in this gravity I wish to said Abacha may your gently soul rest in peace we miss you. May your gentle soul rest in perfect peace the only General ever live as Nigerias president. Your good work will always flourish on earth. People called you names is only now their prove that, you have dont nothing but the work. We are praying for your repose soul to rest in gennatul firdausi Amin. May almighty ALLAH continue to give you mercies in your grave and all the Muslim that had die. And may BUHARI be our president come 2015. Amin. The only general who has never skipped a rank! May ur gentle soul continue to rest in peace. Gentle soul? Is that a joke? That bloodthirsty tyrant? Those were the dark ages in Nigeria. Everyone was afraid to even breath. The day he died the country was afraid that it wasn’t true, and everyone was whispering. When the announcement was made there were parties in the street. You dont know what you are talking about. Abacha did not kill any body in Nigeria Ken was executed for killing his kinsmen. if you disagree you can go and ask the family of those he killed. All the NADECO Men and the rest that run away they the crookes that milk this country dry and just running to hide their loots outside. Cast your mempry line back and you will see that it was only Gen.Abacha that did not execute coup plotter even after the military tribunal has confirmed them guilty of staging a coup. if there is no coup attempt let any of the pplotter come and say or deny that, El Mustafa is very handy to thrush it out with him or her. please dont jump into conclusion for the sake being opposed to Gen. Abacha’s policies. look at our eonomy at that time how well it was managed inspite of the fall in the price of petroleum to $8.00 yet he increased the petroleum pump price once and promised to set up an institution that will intern in some critical sectors PTF (Special) and imagine the wonderful work they carried out in this country. Our beloved leader, though you are dead, your contribusion to the development of our great country remains green, your blood flows in our veins and we will continue to remember you forever. May your respected soul rest in an endless peace. Am surprise that Abacha is getting this kind of encomium. I may understand because in my place they said that you don’t speak bad about the dead. But that will not make us not to say the truth even when it hurts because the evil men do live after them. Was it not this same Abacha that used Al Mustapha to maintain a killer squad that was going about killing all that opposed his views. He is now a hero. Thank you. My jaw dropped when i read these comments and you are the only one who said what needed to be said. We have terrible people in Nigeria with short term memories and then those terrible people who because of tribalism will defend what is evil. Abacha was the best president indeed. What arrant nonsense. And all the recovered stolen funds are what? the money he was storing for future school fees for his 200th generation baa? 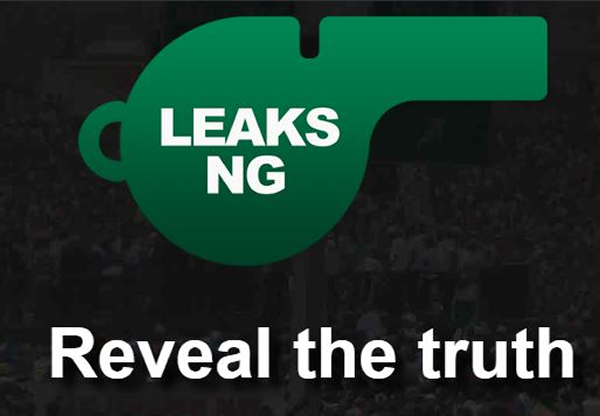 God will help us Nigerians to speak the truth! Abacha? Encomiums? I must comment! Abacha? Abacha? Abacha? #Can’tBelieveThis! It’d be unfortunate if we reduce this piece to an argument on the narcissistic tendencies of the man. He got some things right. But is it just me or all previous comments in his honour seem to be from northerners/Muslims? It’s sad, none of them articulated a single correct sentence, yet they believe they got the best from one of the administrations that made certain of that. Grow up brothers, because unless your command of English does not reflect the state of your mind (and I doubt it doesn’t), you’re going to be so left behind the smell of your own mind will be repulsive to you. Your comment..Abacha is a good leader who contribute in developing Nigerian economy. May Allah rest his soul in a perfect peace. Ameem. Abacha hmmmm really am short of wordz……. Pple see him as a bad millitary leader dat nigeria have ever produced. Buh i av dis sycophancitic feeling dat He is really a great role model. History is quite funny. I remember the jubilation in my area when he died. It was as if Jesus himself had walked into Lagos. If Abacha was this good, then Nigerians must be really bad and deserve whatever they get. A thief is a thief regardless of how he stole money “Nigerian police recover part of Sani Abacha’s $4.3bn hoard from ..”.”Switzerland to return Sani Abacha ‘loot’ money to Nigeria | World news …” his acts speak for themselves, so many unfortunate Nigerian have been lynched and stripped naked for stealing less . I can now apprehend & comprehend that the problem with Nigeria is Nigerians. How on earth will a Nigerian celebrate vices and foibles. Acts that are not virtuous. U celebrate Abacha? A definition of an avaricious dictator who thinks he owns us, Nigeria, and our future. So bad that the encomiums are impoverished. lacks depth and is full of grammatical gobbledygook. English language has gone through a lot from our brothers in the north. If u can’t write good English, then write in Hausa. Don’t take us to limbo. Your encomiums are as bad as your hero you praise. May gentle soul continue to rest in peace amin.